Family Federation Queenslander on 1012m2. 'Balnagowan' circa 1926 is now offered for sale for the first time in over 20 years. Perfectly positioned in prestigious, tree lined Mayfield Street, this home offers a certain lifestyle living in the heart of Brisbane's inner north. With an air of classical elegance, striking the perfect balance between traditional and contemporary design you are greeted with a blend of stunning wood panelling, beautiful period finishes and character timber floors. The separate formal living and dining areas set the tone of the home, leading through original leadlight doors to the secure front veranda. Capturing the easterly aspect, the master bedroom boasts 3.2metre ornate ceilings, modern ensuite, walk in robe and adjoining office/sitting room. The cleverly designed near new kitchen has been thoughtfully set out to maximise easy family living. With European V Zug combi steam oven, V Zug induction cooktop, warming drawer, granite benchtops, masses of bench space and storage. This open plan living space boasts an informal dining area, separate TV/study nook, and leads through French doors to the oversized, north facing deck. Here you can capture the breezes and enjoy elevated suburban views without compromising on privacy. 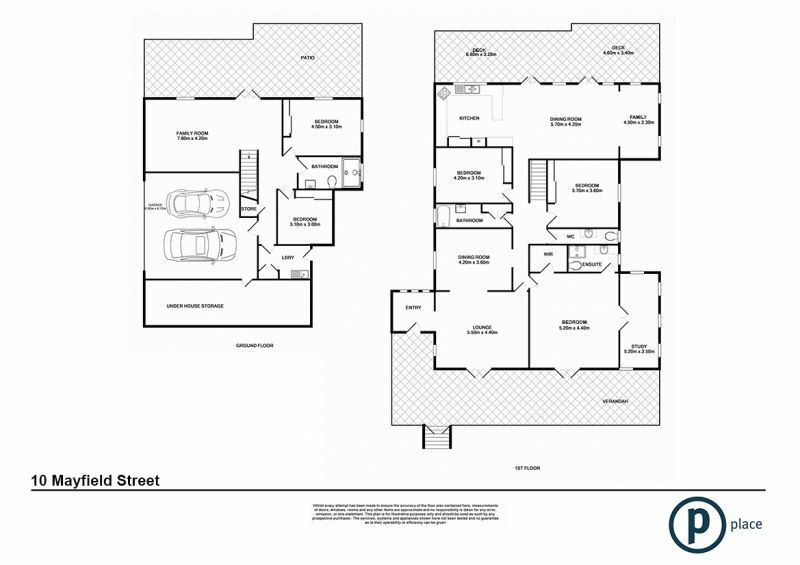 With a floor plan that is sought after in many family homes, the upper level along with the main bedroom includes 2 more generous sized bedrooms, both with fans and built in wardrobes and a separate bathroom and toilet. The lower level caters for young children and teenagers alike, with a second living room complete with fire place, main bathroom, and another 2 double bedrooms. Manicured and well established gardens frame a sparkling, private resort style pool and with such a big back yard, the children will have plenty of space to run and play. Extra features include built in cabinetry, large under house storage including water tanks, second undercover BBQ area, ducted air conditioning, security and fully fenced. Walk to Ascot State School and Oriel Park. Alternatively, enjoy the spoils of vibrant Racecourse Road and Portside, or sample the first class shopping, dining and entertainment of Brisbane's CBD only 6km away. Homes of this calibre and this locale are seldom offered to the market, making this home one to inspect to truly appreciate the beauty of what is on offer.